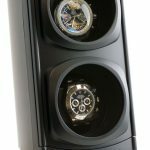 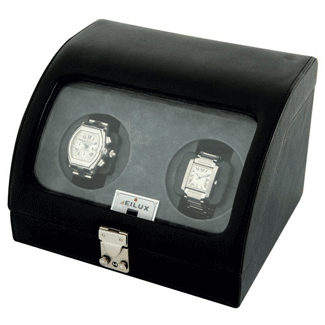 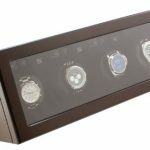 This Eilux Dual Watch winder is Box-type leather covered winder with Curved Glass viewing window. 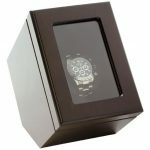 The viewing window is located in lid and pivots up to access watches. 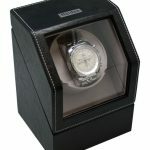 The interior has attractive grey suede-like interior lining. 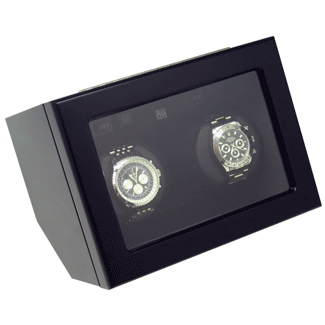 The exterior features padded Genuine Black Cowhide and shiny chrome latch. 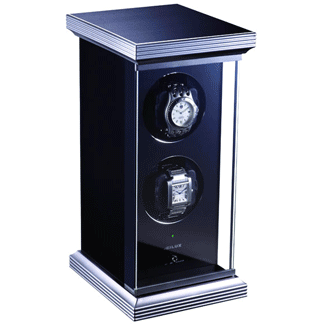 When running it has a Super-quiet Operation of just 5 decibels. 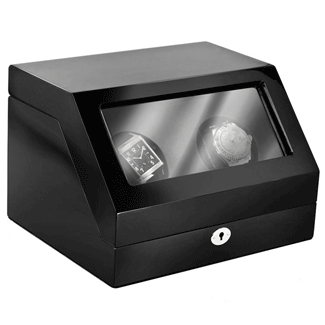 Winder stops automatically once you open the lid and starts back up once you close the lid. 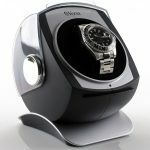 Natural smooth winding operation mimics real human body movements and works with most popular watch models. 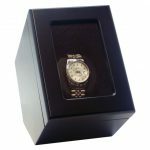 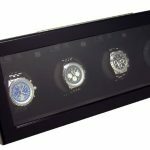 Insert watch mounting system ensures that the watches will not loosen from the winder while it keeps your watches wound.